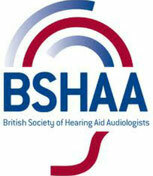 The Hearing Lab One Day Aural Micro Suction Training Courses are recommended by the British Society of Hearing Aid Audiologists (6.5 points). We only train registered ear care professionals, medical practitioners, registered nurses with aural care experience and qualified audiologists so you already have a high level of expertise and knowledge. Therefore, we can spend most of the time hands on and developing the practical skills needed to complete the procedure safely, professionally, and confidently. With a maximum of four trainees per trainer, we'll work with you all day, up close and personal, so you'll gain all the confidence you need to add this to your practice immediately. Constant supervision using only live patients means you can qualify in one day. If you need further supervision then top up sessions will be arranged. No artificial ears on this course! Only one day & we can come to you and you practice on your own clients, family and friends. They trust you the most and are definitely the best ears to train on. You may also join another person or group if that's more convenient for you. We run two courses every month at Starkey Laboratories in Stockport and one at Unitron in Warrington, except in December. We are always looking for people to host venues so we can add more training dates around the UK. Hosts are required to organise the waxy volunteers and for doing this we will travel to your practise/department and provide training on-site. We prefer to train in groups of 4 and we can supplement numbers with other trainees looking for training places in your area. Therefore, if only one person requires training at your practice/department, it's not a problem, we'll do the rest. Costs are the same as attending our organised venues and we normally need 6 weeks notice to arrange everything.